Watercolor Eucalyptus Wreath Bridal Shower Invitation. Customizable bridal shower invitation featuring watercolor illustrations of eucalyptus wreath, elegant script and classic typography. 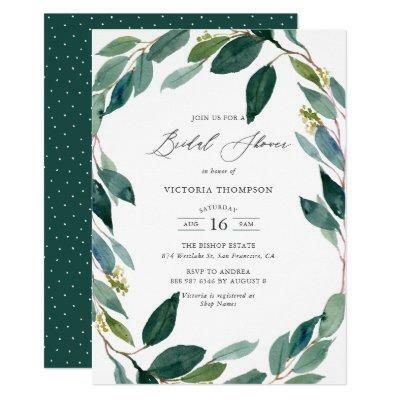 This greenery bridal shower invitation is perfect for spring, garden and winter showers. Matching items are available.